Turkish President Recep Tayyip Erdogan on Wednesday compared anti-Turkey statements by German politicians to “Nazism” after Chancellor Angela Merkel said she would seek to end talks on Ankara’s accession to the EU. “I’m not saying you’re a Nazi, a fascist. I am explaining the incident... This incident is Nazism. 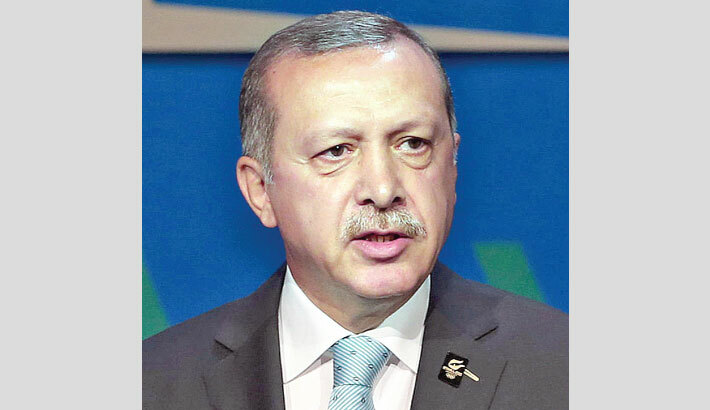 This is fascism,” Erdogan said.